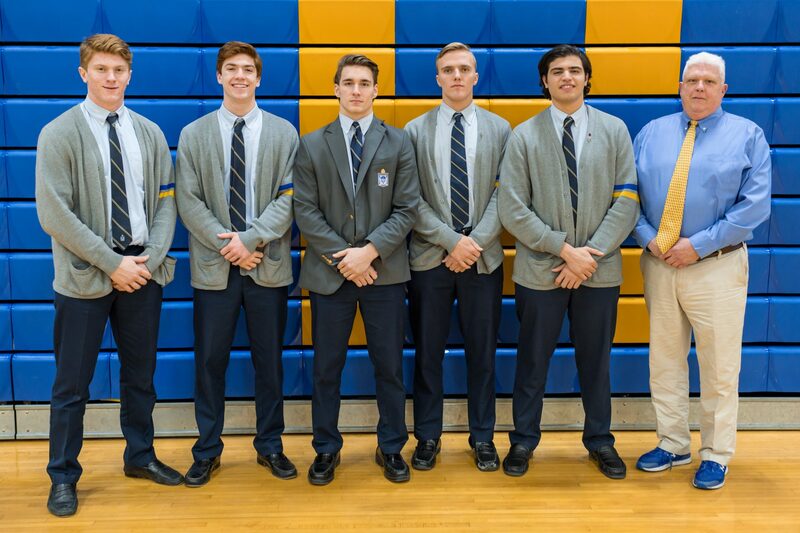 Congratulations to the five members of the Firebird Varsity Football Team who have received All-State honors for the 2018 football season. Matt Sluka ’19 (First Team), Dan Wilson ’19 (Second Team), Thomas Cipolla ’19 (Fourth Team), Jordan Delucia (Fourth Team), and Matt Mongelli (Honorable Mention). 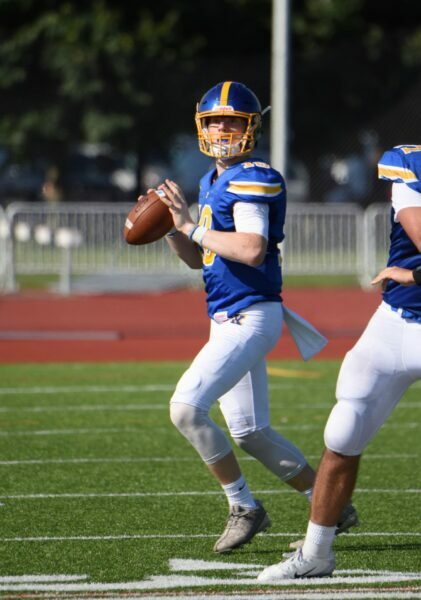 Matt was a true dual-threat Quarterback as he threw for over 1,000 yards and ran for over 1,00 yards this season. He also accounted for a league-leading and astonishing 36 Touchdowns combined with his arm and his legs. Matt’s accuracy as a passer was also on display as he completed nearly 75% of his throws while only throwing 1 interception (his lone turnover of the season). The stats and numbers tell a great story but more telling is the fact that Matt started under center 22 games in two years for the Firebirds and 22 times the team walked off the field victorious. Dan was the leader of the defense as the middle linebacker for the last two seasons. 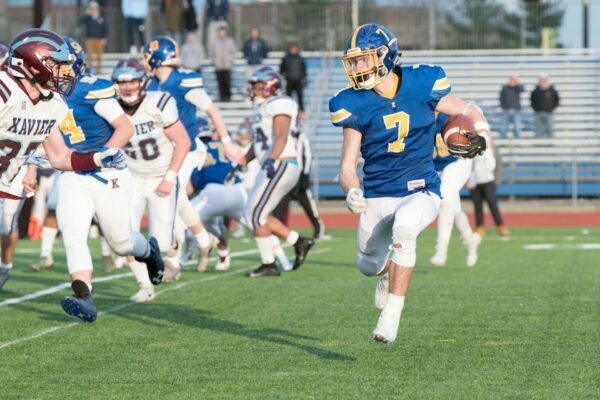 Dan was the leading tackler on the team both seasons accumulating 96 tackles this season, he did this as most teams were attempting to double team him with their blocking schemes. 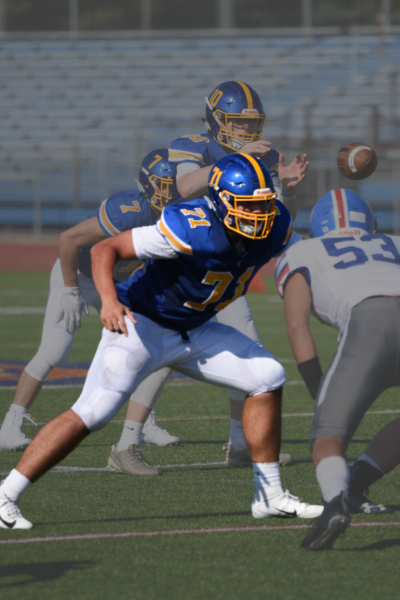 In addition to being a run stopper, Dan was an effective blitzer many times rushing the Quarterback on pass attempts and sacking or hurrying opposing quarterbacks out of the pocket. Thomas was both the anchor on the offensive line and the defensive line. Behind him and his fellow linemen, the Firebirds rushed for over 3,000 yards this season and 48 Touchdowns both leading the league. On the defensive side of the ball Thomas gave offensive players fits all season from his Defensive End position with his burst off the ball, blowing up lead blockers, and nose for finding the ball carrier. 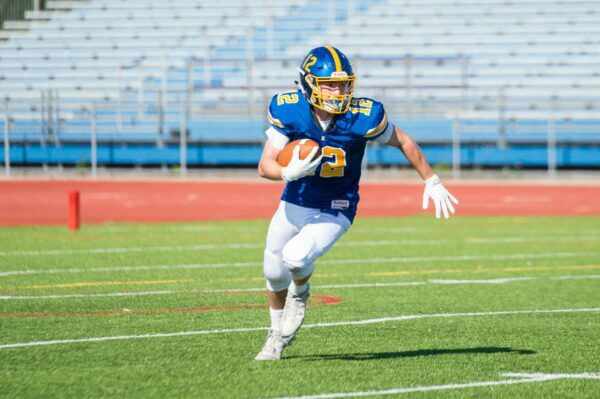 Jordan ran for a league-leading 1,380 Yards this season averaging over 125 Yards per game. Finding the end zone 19 times this season it was Jordan’s big-play ability that made him so hard to stop, averaging over 10 yards per carry it became common to see Jordan ripping off 50+ yard runs against the opposing defenses. Flexing his muscles as a receiving threat as well Jordan also hauled in 15 receptions for 271 Yards. 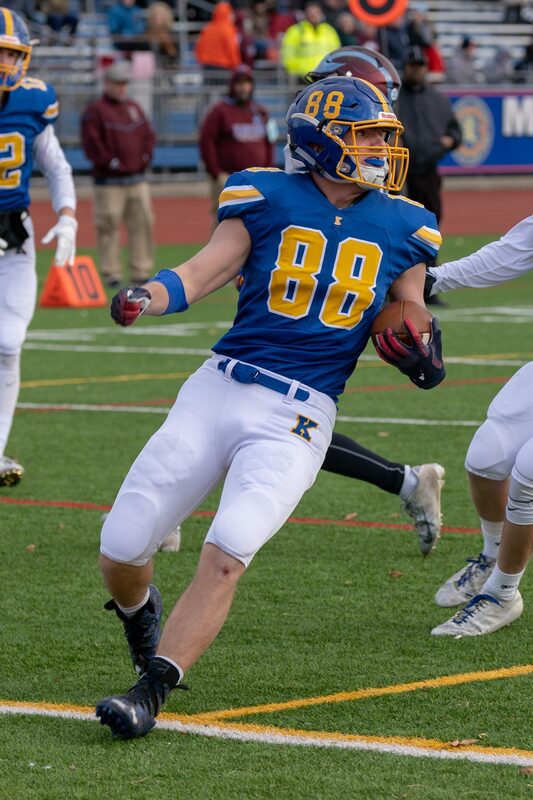 The top receiving threat for the last two seasons of the Firebirds consecutive championship campaigns it would be easy to overlook the aerial attack as the ground game for the Firebird offense was so good. However, any time the Birds needed a big chunk of yards or a long conversion the ball was usually going in the air to Matthew. The 19 receptions may not seem overwhelming but the 521 Yards explains that any time Matt touched the ball the Offense was averaging a gain of 25 Yards. In addition, Matt hauled in 9 Touchdowns meaning almost every other time he caught the ball he was bound for the end zone.